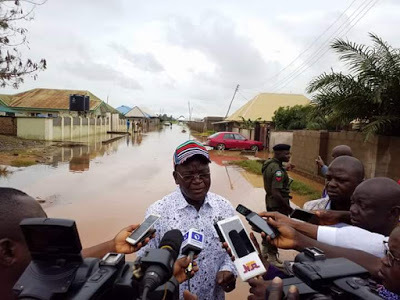 Benue State Governor, Samuel Ortom, earlier Yesterday visited areas affected by flood in Makurdi where many people have been rendered homeless. 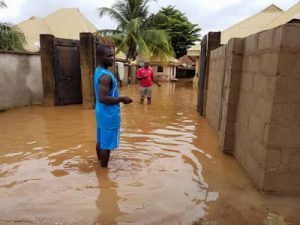 He sympathized with those affected by the flood and described the situation as sad and unfortunate. 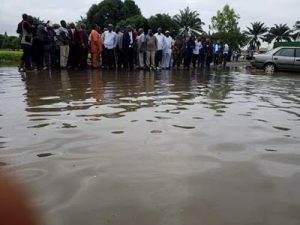 The Governor called on those living in flood prone areas across the state to relocate. 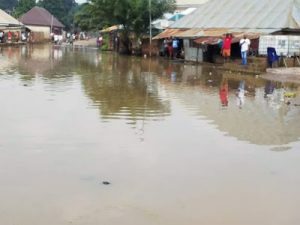 He also directed the State Emergency Management Agency, SEMA, to liaise with the National Emergency Management Agency, NEMA to find ways of assisting displaced persons. 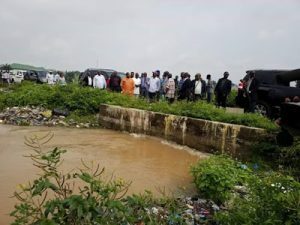 He requested the Federal Government to consider the release of ecological funds to Benue, stressing that if urgent steps are not taken, the sad experience of 2012 may repeat itself. 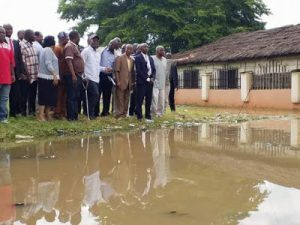 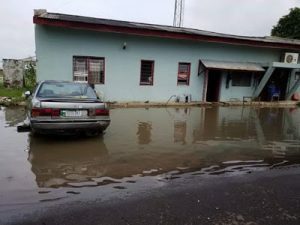 The Governor frowned at the building of houses on drainage channels and flood plains, noting that such structures would have to be demolished. 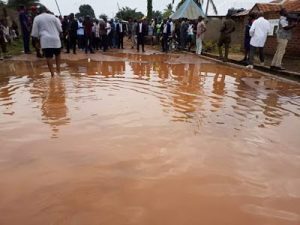 On the streets behind the Civil Service Commission, residents of the area told the Governor Ortom that they were aware a contractor was previously given about N1 billion to provide drainage channels but he absconded. 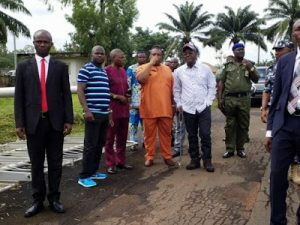 The Governor said the matter was being handled by the Economic and Financial Crimes Commission, EFCC.